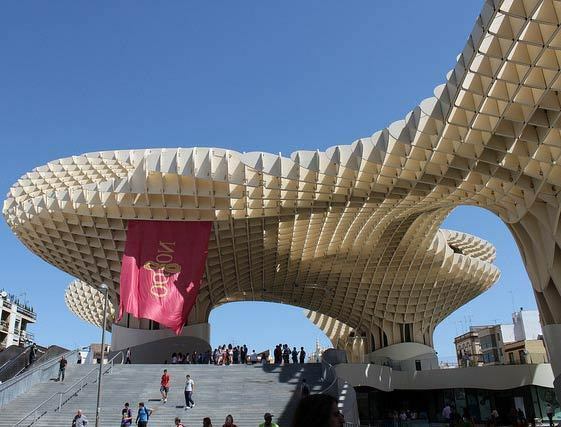 A bizarre site in a medieval Spanish city, Metropol Parasol rises from Seville like an enormous honeycombed mushroom. If it conjures memories of popsicle-stick sculptures from your childhood, it's because the structure is built from pieces of timber glued to one another. 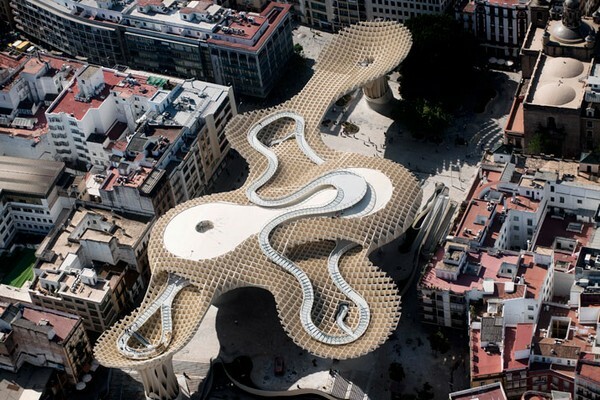 Begun in 2004, Metropol Parasol made its debut in March in an effort to revitalize Plaza de la Encarnacíon, a spot usually skipped in favor of more popular tourist destinations nearby.